Hog Roast Batley often caters large functions, including corporate hospitality events, weddings, school fairs and charity occasions, but what you may not know is that we are also more than able and willing to cater small affairs too. If you are planning a party with just a few guests, whether it’s informal or formal, at home or at a particular venue, we can still easily provide tasty homemade food for you and your guests, made from fresh, local ingredients of the highest quality. 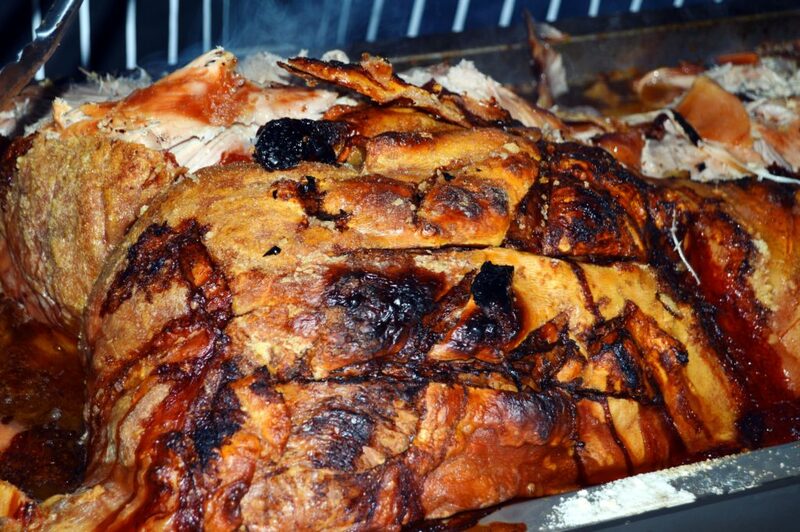 Regardless of the food that you choose to have served on your special occasion, as we actually make much more than hog roasts, Hog Roast Batley will help to make your party or event a great success. Over the weekend, we were incredibly busy serving all kinds of different parties, but one in particular was a lovely wedding anniversary where we provided the food for a small group of family members. When Margaret and Phillip called us to book a traditional hog roast for the party, they were concerned about there being less than ten guests, but they wanted an informal do just for close family, and still wanted our scrumptious pigs in buns served. We let them know that this wouldn’t be an issue at all and booked the occasion in for one of our chefs to attend by himself. Early Sunday afternoon, our Hog Roast Batley chef set off to the family home venue, where he would be cooking and serving in the back garden, and the weather was not the best. However, a drizzle of rain and a bit of wind could never put off our professionals, as we often cater in inclement British weather, and sometimes even in the snow in winter time! On this day, our gazebo would keep him and the hog roast machine dry, and he could serve inside if needed. By 6pm on Sunday, the rain had cleared and our chef had cooked up a delicious centrepiece hog roast for the couple and their family, which made plenty of pigs of buns, and there was so much meat left over from this small hog that everyone could take some home too.